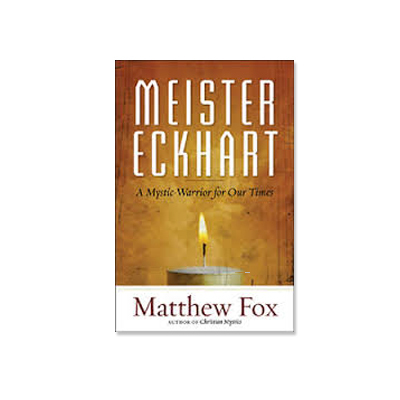 Matthew Fox recently wrote a book entitled “Meister Eckhart: A Mystic-Warrior for Our Times“. I have the privilege to interview him recently regarding his new book on Meister Eckhart. I must admit that prior to our interview and review of the book I did not know who Meister Eckhart was. I would venture to say that many of my listeners are not aware of Meister Eckhart was nor his contributions and deep spiritual teachings. During my interview with Matthew we have not only the time to take a deeper dive into who Meister Eckhart was, but his teaching which focused on deep contemplation and deep action which ultimately lead him being put on trial and condemned by a corrupt papacy. I hope you enjoy my interview with Matthew Fox about Meister Eckhart. If you want to learn more about Matthew Fox’s writings please click here to be directed to his website.